OK, why am I saying for 69 cents, well actually you could pay 10 cents for the total bundle but I have faith that most will pay the average or higher and the current average for the 10 apps is $6.91 so therefore a whopping average of 69.1 cents each! 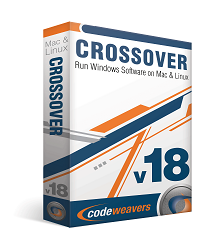 But if you should be so unlucky to miss this out on this pay what you want bundle deal you can always find a CodeWeavers CrossOver Mac promo or Coupon code here for great savings! The Wine development release 1.7.49 is now available. DirectWrite is now good enough for rendering text in Steam. A number of Direct2D improvements. Support for namespaces in the IDL compiler. 27145 Weapons Translucent Like Glass in FEAR 1 and 2. The last two and a half weeks of testing were heavily occupied with attention to World of Tanks and World of Warships. 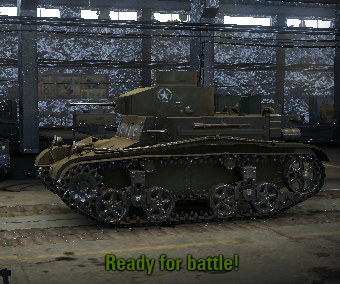 With World of Tanks we began by triaging a crash that started with the 9.9 update. 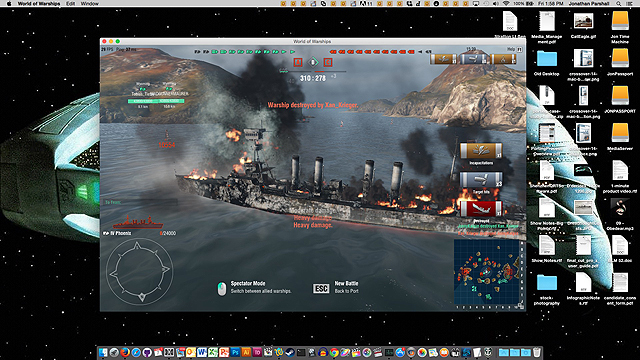 We fixed the issue quickly and sent a new build to Wargaming. We followed this with a fix for a severe drop in frame-rates with the 9.9 update. 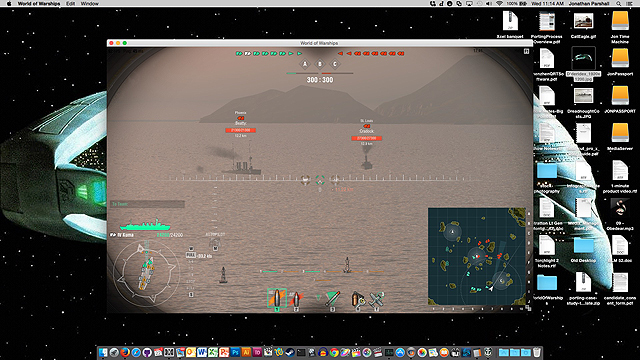 A fix for the frame-rate issue and a mouse offset issue is on it's way to Wargaming now. We continue work on a rendering issue that lights up the garage as though it were decorated with blue LED lights on Intel based systems. 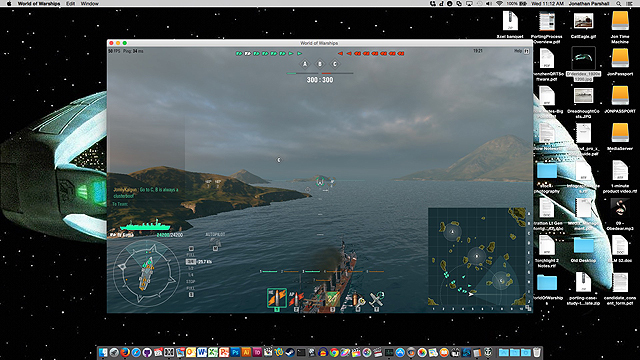 For World of Warships we spent a majority of the time working with the black screen a user would be met with upon login. The problem is related to Wine Bug number 35397. With more testing and development, we hope to send the fix upstream. This means we fixed it easily for Wargaming but to ensure we don't break other applications in Wine, we need to complete the patch by adding tests and additional cases. Following that, our normal cycle of testing did not reveal new regressions with the latest version of Wine. We reproduced a crash reported in our forums with El Capitan and CrossOver 14.1.4. We confirmed the crash in our development branch and opened a bug report with Apple regarding the crash. This crash is caused by an exception in code that only occurs when using El Capitan. 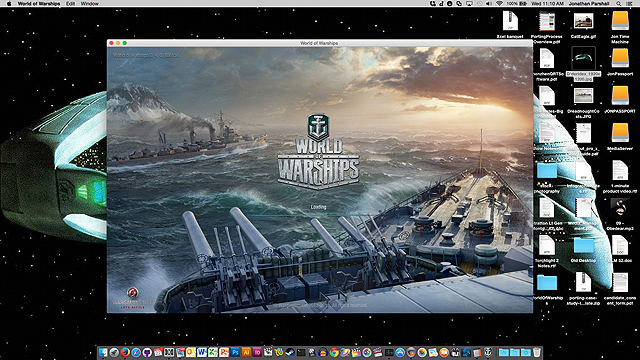 We confirmed that Apple fixed a rendering issue with the release of El Capitan that affects Banished. We reviewed Wine bug number 34041; we confirmed that Skyrim continues to hang on exit both with CrossOver and the latest version of Wine, 1.7.47. For CrossOver 14, we tested fixes with Microsoft Office 2010's behavior on dual screen systems. This includes full-screen maximize/minimize behavior of primary and secondary screens on Gnome Classic and Gnome Shell with Metacity and Debian 7. Additional testing was performed on Debian 8 with dual screen systems. This work will be included in CrossOver 15 and any future updates of CrossOver 14. 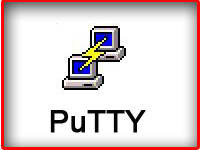 We also retested the behavior of inserting Word and Excel objects in PowerPoint 2007. 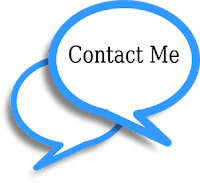 We confirmed a fix for Microsoft Office 2007 & 2010 installs where the contents and control panel would scan forever and never load. We confirmed a fix for a bad case on bottle renaming where pressing ESC would rename the bottle in the GUI but not the system. Pressing ESC now completely cancels the bottle renaming process. We confirmed a fix for a bad behavior when CrossOver was minimized to the OSX dock. It now maximizes with a single click, the same behavior as native applications. We confirmed a fix where CrossOver could not download specific files based on a feature in the Mac frameworks via the user agent string. CrossOver on OSX now uses the same method as Linux for downloads. We confirmed a fix for PokeXGames where a proper username is now used in the registry setting so the game can rely on it. Dwrite has been completely merged into Wine with this update, this means that more people can now contribute to the work that still needs to be done for implementation. It also means that we changed how the development of branch of CrossOver is handled. We now build with dwrite for the first time in a long time. 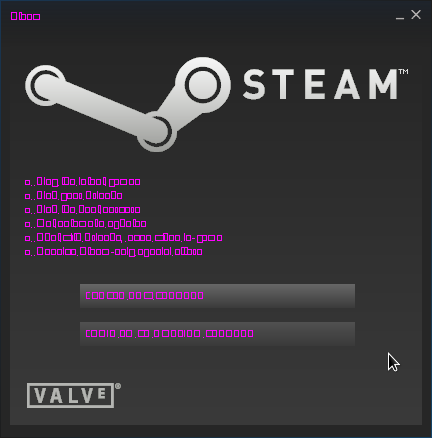 Unfortunately some titles break with this configuration, namely Steam. However, the work to make Steam functional is ongoing and we have confirmed that if Steam is not functional by the time CrossOver 15 is released, we can adjust this setting specifically for Steam. Direct2D implementation was also merged into Wine this week. More people can now contribute to the work that still needs to be done. With extreme caution, testing of Office 2013 can now take place with Wine and with development builds of CrossOver. Many installers do not yet work, patience.